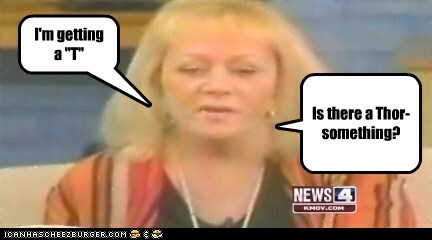 Who hasn’t at one time or another gone berserk? And by “gone berserk,” of course I mean become enraged, howled like an animal and then killed indiscriminately. What, just me? Ha ha, just kidding. Really. But what does it really mean “to go berserk”? Berserks (Old Norse berserkr, pl. berserkir) were fearsome Viking Age warriors. They appear frequently in sagas, but it is difficult to separate legend from reality in the sagas. Sometimes they had supernatural abilities and sometimes they were stock characters–bullies who served as a foil for the protagonist. Where can we find the truth? Where else but the History Channel. A few years ago History International ran a program called Unconventional Warfare. The first segment deals with the Trojan Horse. According to the narrator, no one really knows whether the story of the Trojan Horse is true or not, so you know off the bat that this is going to be another serious, hard-hitting, scholarly look at history. Regardless, the misidentified academics give a good summary of the berserks: they were fierce fighters who whipped themselves into a frenzy and fought in the front lines. In legendary tales, they are described as wearing bear or wolf skins (berserkr means “bear shirt”). They supposedly fought without armor and could not be harmed by weapons or fire. In reality, of course, they could be harmed and killed, but for the duration of the berserker rage, they may have seemed impervious. Now, at this point, you can sense the word “however” hurtling across the room, desperate to make it before the camera cuts away, but, alas, to no avail. 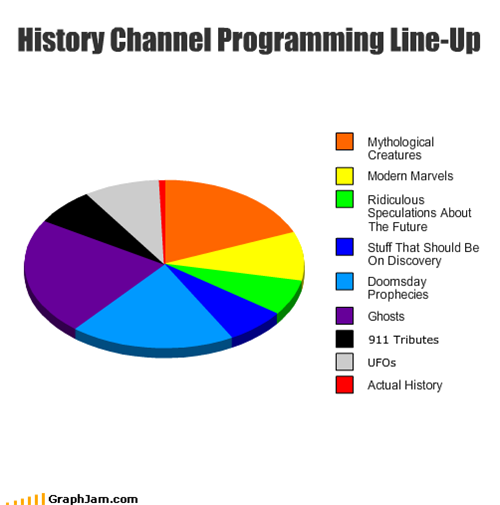 Magic mushrooms is what the History Channel wanted, and once someone mentioned them, they stopped. The point of Unconventional Warfare is to compare strategies used in the past to ones used much more recently. The berserks and their magic mushrooms are compared to Somali warriors who use a narcotic weed to become more aggressive. None of the academics were told that this was the point of the segment. They only knew that the History Channel was doing a segment on berserks. When asked about the magic mushrooms, Acker and presumably Karras (quite possibly the others as well) explained that while some have speculated that the berserks used hallucinogens, there is absolutely NO evidence. There is nothing in the literature to suggest that the berserks used anything but training, natural aggression and the gift of Odin to work themselves into a frenzy. They may well have had a bit of a tipple now and then, but that hardly separates them from anyone else in Viking society. If this is how they do history, perhaps it’s just as well that they stick with monsters and doomsday. But enough about historical berserks; let’s talk about the literary and legendary ones–they’re much more fun. First the stock characters. These guys wander around, acting like bullies and intimidating people until they get their comeuppance from the saga protagonist. In Grettis saga, Grettir fights and kills a mound-dweller (an undead guy who attacks Grettir when Grettir is robbing his grave), a draugr (an ueber-nasty undead guy), a she-troll, a giant, a bear and lots of people. LOTS of people, including a number of berserks. Grettir meets a group of twelve berserks, led by a couple of brothers named Thorir Paunch and Ogmund the Evil. Grettir pretends to befriend them, then gets them drunk and fights them (the alcohol is of no benefit to them, by the way). When they realize what is happening, the berserks, of course, go “berserk and [begin] howling like dogs” (p. 46). While they’re howling, Grettir thrusts a spear through Thorir and Ogmund, who bumps into him. Then he takes out the other berserks. As far as I know, Grettir is the only person who has the sense to kick the shield back into the berserk’s mouth. Not all berserks are slightly comic bullies, however. Some have supernatural powers. Examples may be found in Egils saga. Egil was a great warrior, an exceptional poet and a truly phenomenal drunk (again, though, his drunkenness is unrelated to his frenzies). Jesse L. Byock has argued that Egil may have suffered from Paget’s disease, which has a genetic component. Based on his saga, Egil may also have suffered from a genetic predisposition for berserkerism. Egil’s grandfather is named Ulf. He is big and strong and a good farmer. As evening rolls around, however, he turns bad-tempered and is known as Kveldulf or Evening Wolf. You might as well wear a name tag that says, “Hi, I’m a werewolf. Ask me how.” He has two sons, Thorolf and Grim, known as Skallagrim (Bald Grim). Thorolf is tall, strong, brave, handsome, honorable (by saga standards) and an all-round swell guy. Grim is big, strong, ugly, troublesome and, like his father, has a tendency to shape-shift. Skallagrim has sons named Thorolf and Egil. Thorolf II is a carbon-copy of Thorolf I. Egil is big, strong, freakishly ugly and has the family tendency to shape-shift. The non-berserk Thorolfs both die young; the berserks all die of old age. Let this be a warning to you, History Channel: don’t mess with berserks. *Full disclosure: Professor Acker was my dissertation director. When the History Channel came a-filming, they collected several graduate students to sit listening in rapt attention while Prof. Acker delivered a faux lecture. We were cut. Egil’s Saga. Tr. Bernard Scudder. The Sagas of Icelanders: A Selection. New York: Viking, pp. 8-184. 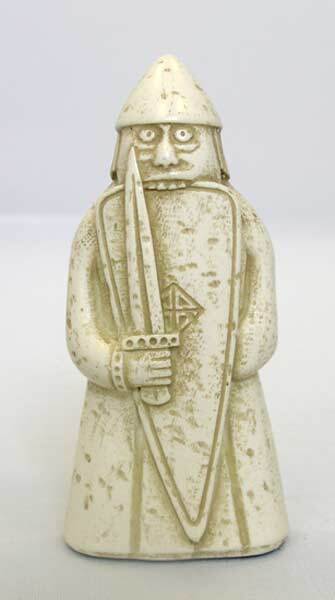 The Saga of Grettir the Strong. Tr. Bernard Scudder. London: Penguin, 2005.